Nutritious breakfast with Red Rice Poha having fiber and bran. 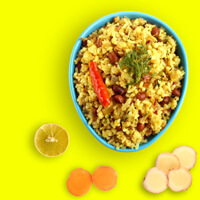 Red Rice Poha is made from the red variety of rice called ‘Hsasundi’. which is grown traditionally in the Uttara Kannada region. The variety is over 100 years old. Unlike white rice poha from which most of the nutrients are washed away while processing, Red rice poha contains fiber & bran. 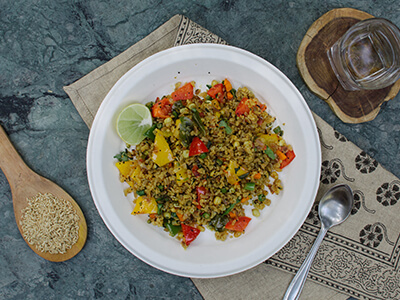 This poha is a thicker variety and rich in taste. It is a delightful ingredient in many dishes.